Canonical must be getting the hang of this whole smartphone thing. After taking nearly two years to get its first Ubuntu-powered handset out the door, the group behind the Linux distribution released its second phone earlier this month. Now just a couple of weeks later, Canonical has announced its third smartphone which will go on sale tomorrow. That is, if you're lucky enough to be able to buy it. Like its previous offerings, Canonical has simply taken an Android smartphone and replaced Google’s operating system with its own. The target this time is the Meizu MX4, a Chinese smartphone that was released last September. 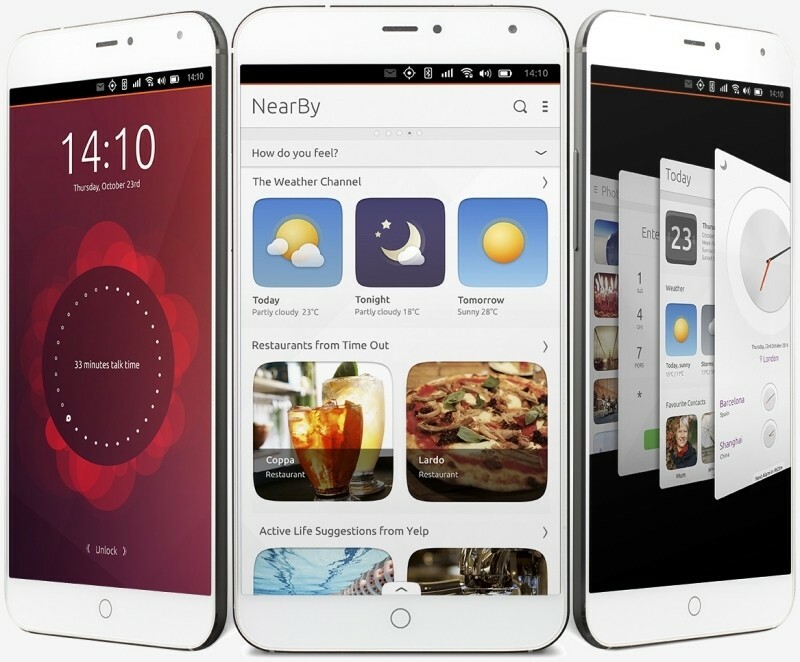 The Meizu MX4 Ubuntu Edition is a bit of an upgrade compared to its two previous offerings. This handset features a 5.36-inch display with a resolution of 1,920 x 1,152 (5:3 aspect ratio) that’s coated with Corning’s Gorilla Glass 3. It’s powered by a MediaTek MT6595 octa-core processor based on the ARM big.LITTLE architecture (four Cortex-A17 cores clocked at 2.2GHz and four Cortex-A7 cores running at 1.7GHz), a PowerVR G6200 GPU and 2GB of RAM. There’s also a 20.7-megapixel rear-facing camera, a 2-megapixel front camera and a 3100mAh battery to keep the party going. Storage capacity is limited to just 16GB and without an expansion slot, that’s what you’re stuck with unless you rely on cloud storage. You’ll need a bit of luck, however, if you actually want to buy the Meizu MX4 Ubuntu Edition. Instead of simply selling it online as usual, prospective buyers in Europe will need to visit Meizu’s English-language site and click on what’s described as an interactive origami wall. Doing so will reveal various bits of information about the phone and if you’re lucky, an invitation to buy it. Those who don’t get an invite can try again the next day. The phone is priced at €299 ($334) which seems like a fair deal given the hardware inside… that is, if you can get past the absolutely ridiculous sales campaign.